We are the REAL oldies station, featuring various types of music styles from the 20th Century, mainly 1980's and before. The majority of the mp3 files on Radio VinylNostalgiaUSA are created from my personal record collection of 45 rpm, 78 rpm and LP's. I've been on YouTube since 2008 as VinylNostalgia and have a music group on Facebook called VinylNostalgia's Jukebox Jamboree. A web radio station at Radionomy.com is the next logical direction to go for sharing my vast record collection. My radio station was activated on August 3, 2017...so I could certainly use some new listeners. Last edited by VinylNostalgia on Sat Aug 19, 2017 6:00 pm, edited 1 time in total. Thank you for this good idea of supporting the new guys on the block. We have all put in many days/weeks/months of work. Just been to my stats counter to see there are zero listeners. Our station Karoo 62 Radio ( https://karoo62.wixsite.com/karoo62radio) has a vast array of music from across the decades. We also provide a platform for unsigned musicians to post their songs. Please give us a listen and we'll return the favour. Regards, Michael (Karoo 62 Radio). Classic rock that play the top artists are a dime a dozen. So many classic rock stations. So many stations. Not enough hours in the day. Hi-Fi Radio: 20th century Jazz, Easy Listening, Exotica. Mostly instrumental. 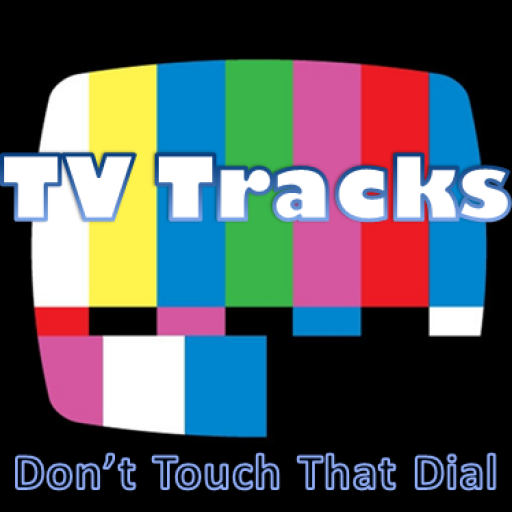 Might as well throw my hat into the ring...Here's what you need to know about "TV TRACKS"
There are probably more people out there who know the words to a given TV theme song than they know the words to the National Anthem. From its infancy in the Late 1940s to present day, A TV show’s theme song has been used to lure a potential viewer into watching a given show—so much so that in ongoing decades, album length versions and even covers of these songs have been made commercially available to enhance that mass audience and built-in fan base. TV is not only broad in its appeal, but it spans generations and brings people together in a way few other entities can. Bringing that feeling of “togetherness” to a different medium can act as an extension of the former. TV & Radio—like most forms of mass media–go hand in hand; in fact, it was the Radio companies that developed the technology for Television to exist in the first place. Since then, both forms of media have taken on a life of their own while developing a broad audience appeal that continues to this day—simply put, there’s something for everybody. With Network Television itself approaching its 70th anniversary, the nostalgia factor would certainly be palpable to that same wide audience, both young and old. This channel can accomplish that feeling of nostalgia by attempting to emulate a typical TV viewing experience that most have gone through at one point or another—even with all the advancements that have happened in recent years. From watching Cartoons in the Morning, to classic re-runs throughout the day, to Prime-time’s best and brightest at night, Television has been a constant figure in the makeup of American Life & Culture—this channel hopes to bring it all full circle by having radio tip its hat to its technological successor. Starting Now, Radio & Television will combine so that we can present a 24/7 stream of TV’s Greatest Hits. All the Theme Songs, All the Covers/Album Length versions of them, All the Original Songs written for Television. ALL of them will be heard here. So, Don’t Touch that Dial and Stay Tuned.